I was so excited when I heard Georgia Clark was writing a new book! The Regulars was such a fun a quirky read so I knew Clark was one to look out for. I recently finished The Bucket List and it was everything I had hoped for and more. The pacing was spot on, the amount of funny vs. serious scenes were evenly distributed, and the characters were hilarious. I think the synopsis gives a pretty good definition of what to expect from this novel, but I wasn't expecting to be so well versed on the topic of BCRA1 and the difficulties that so many women face. Georgia did an amazing job writing a fun and hilarious novel, but one also filled with important information about awareness for breast cancer and the BCRA1 mutation. 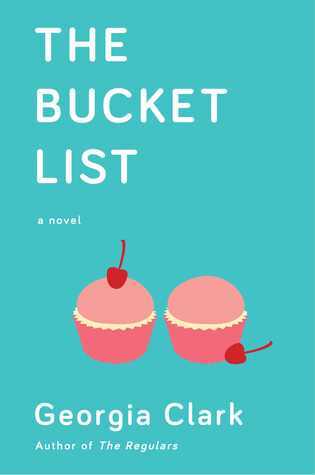 The Bucket List was such an entertaining read and I couldn't put it down. I felt very connected to Lacey by the end of the novel and truly cared about what happened to her. If you are in the market for a hilarious, touching, and raunchy read about women in New York City, then The Bucket List is for you. I can't recommend this book enough! Thank you to Atria and NetGalley for sending this novel in exchange for an honest review.